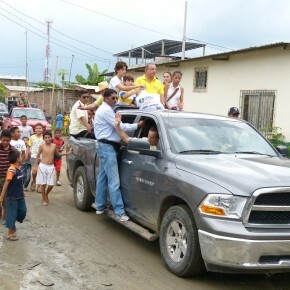 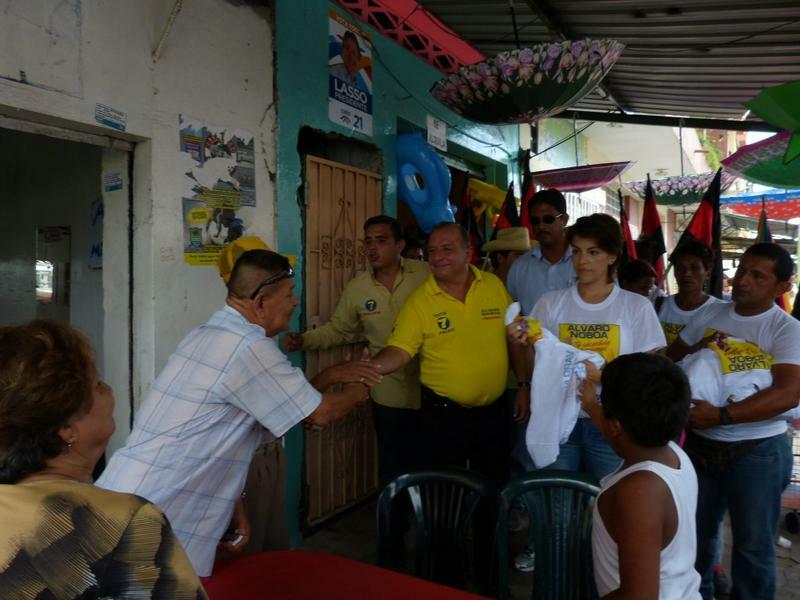 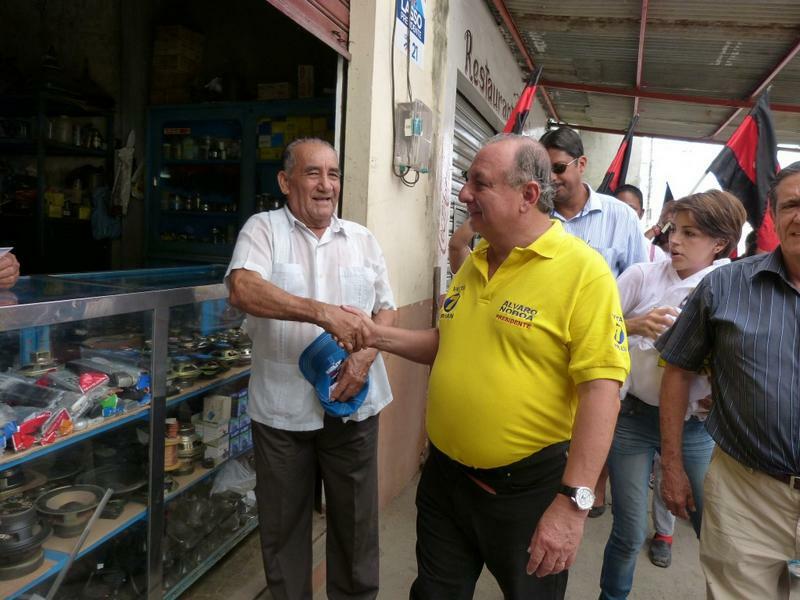 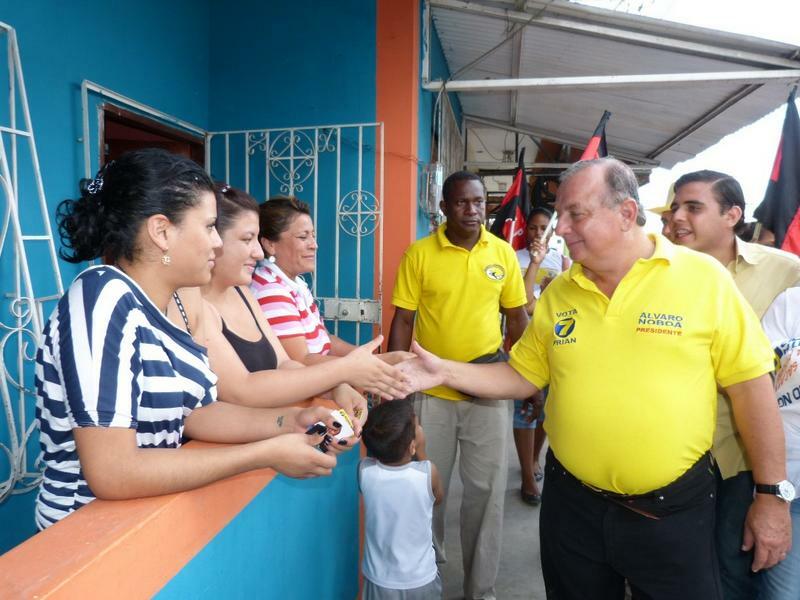 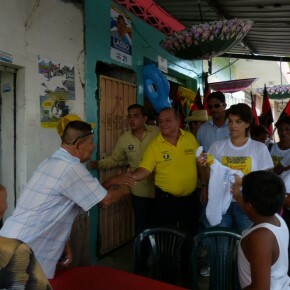 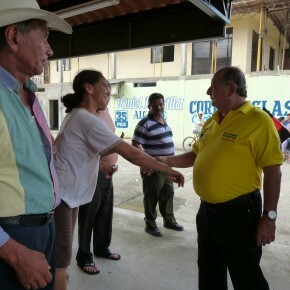 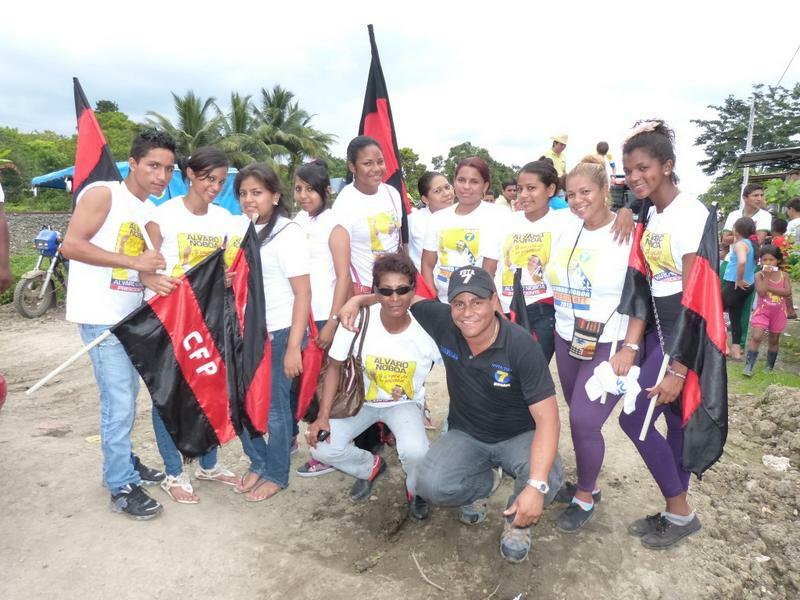 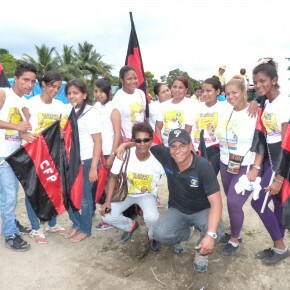 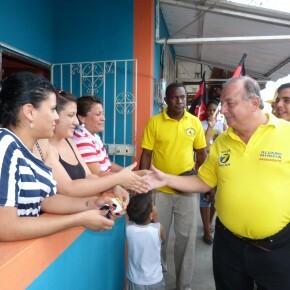 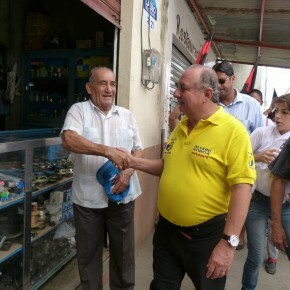 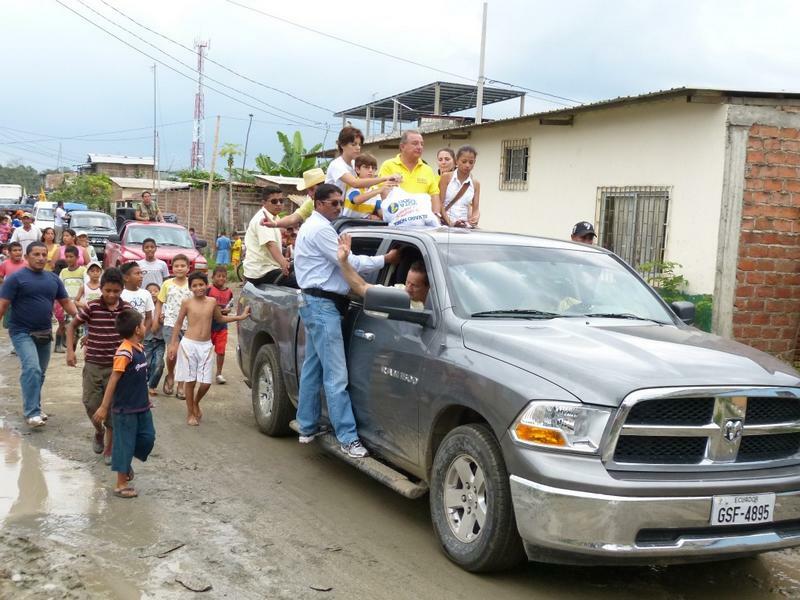 The PRIAN Presidential candidate arrived to the San Fernando precinct in the Yaguachi region accompanied by District 4 candidates at 2.30pm. 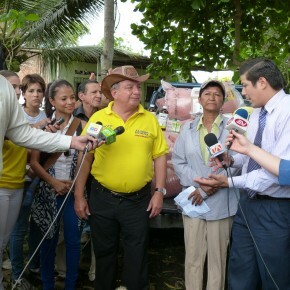 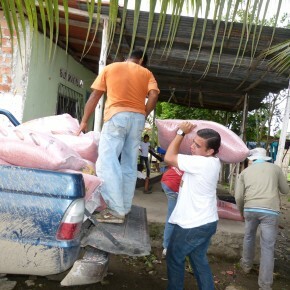 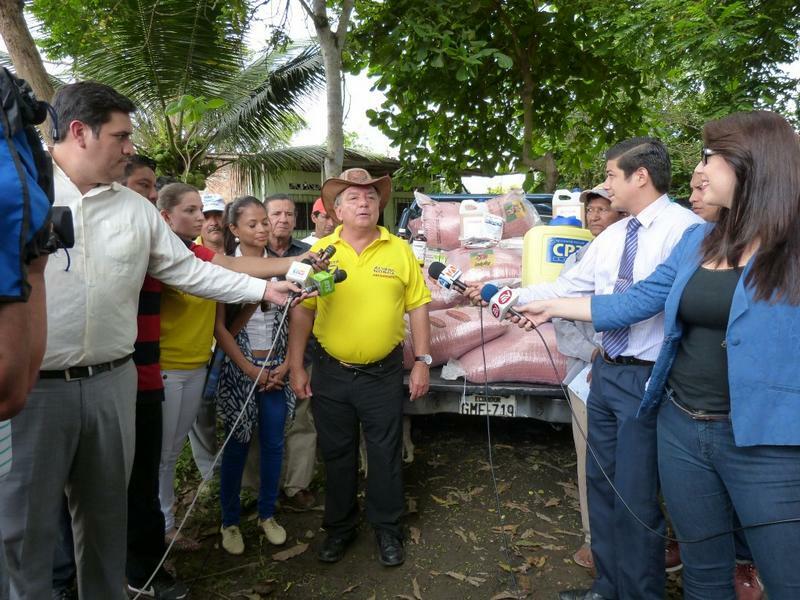 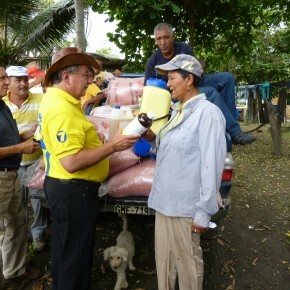 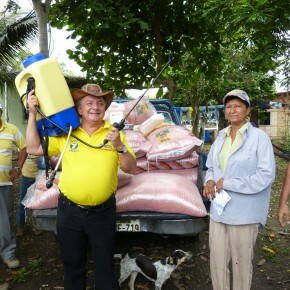 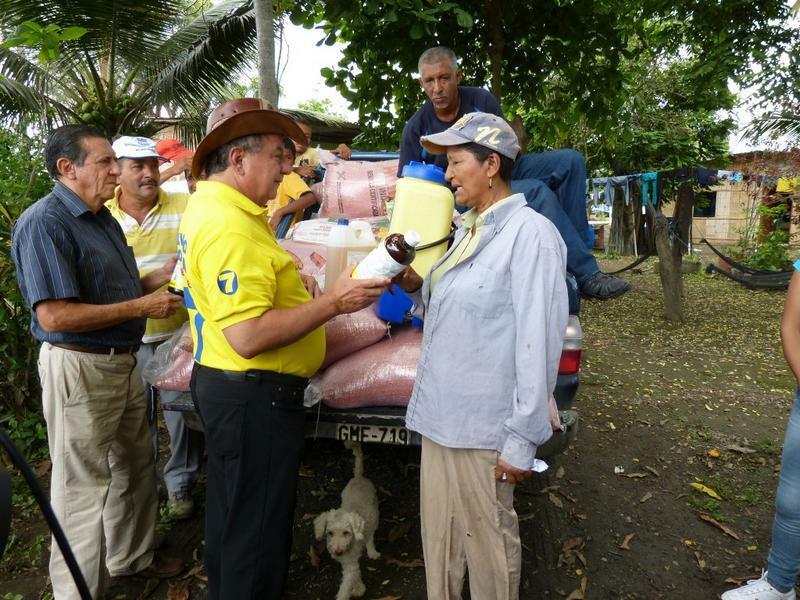 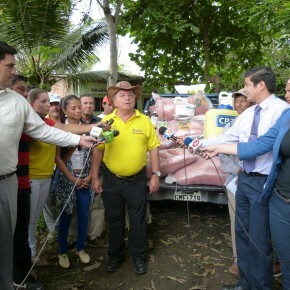 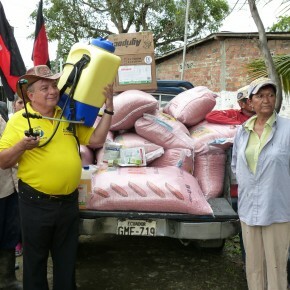 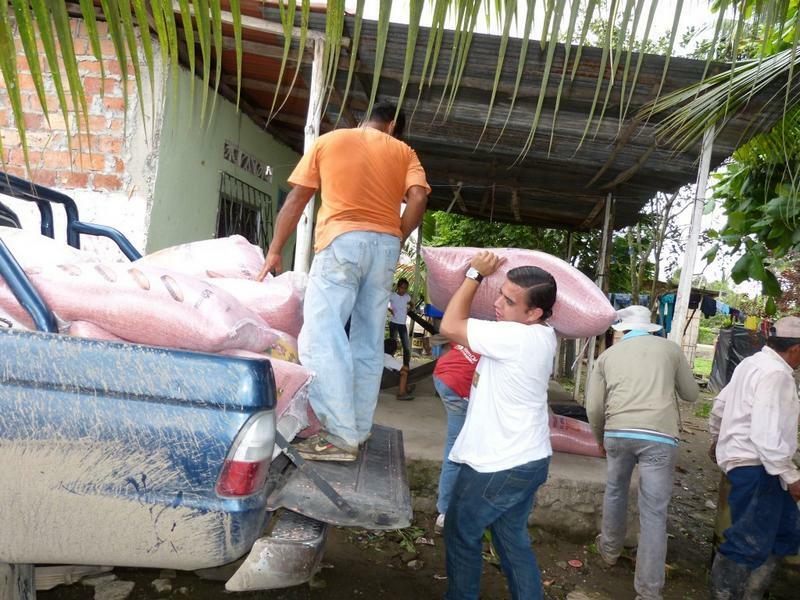 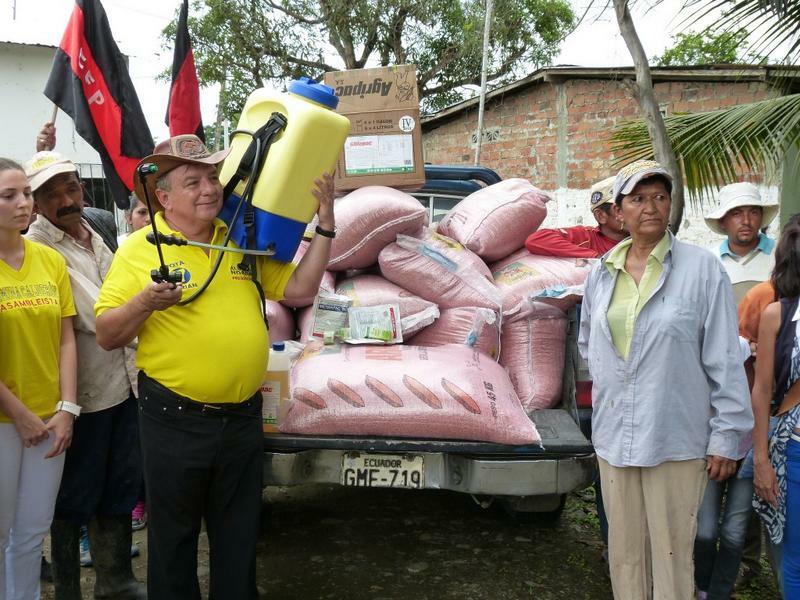 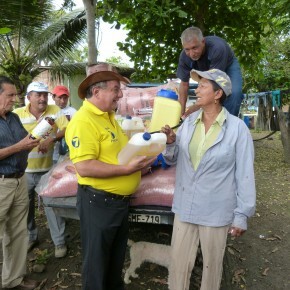 There he delivered farming supplies to Mrs. Eva Faguinzon Briones, the mother of 6 children. 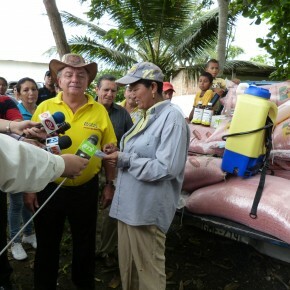 Mrs. Faguinzon received a fumigation tank, 5 bags of rice seed, bags of soil, fertilizers, insecticides and other tools for fumigation. 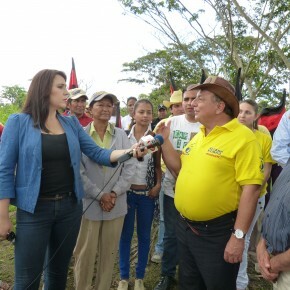 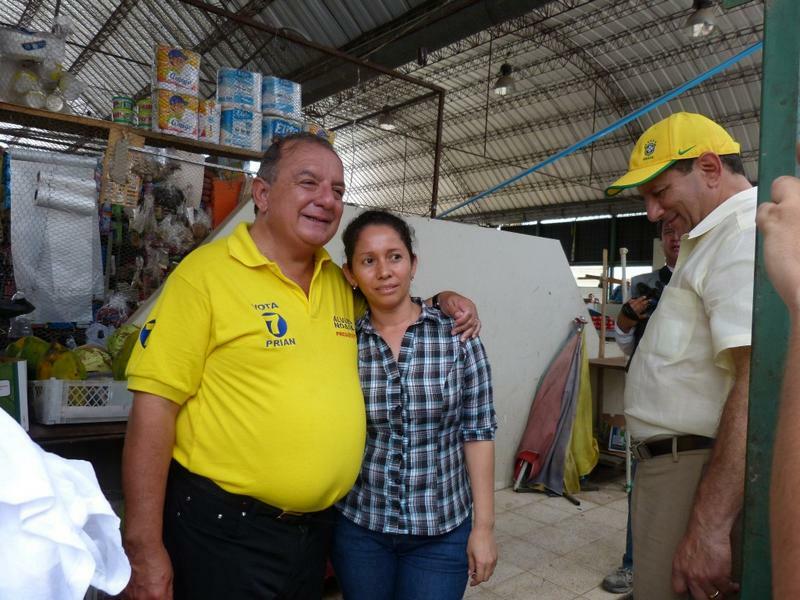 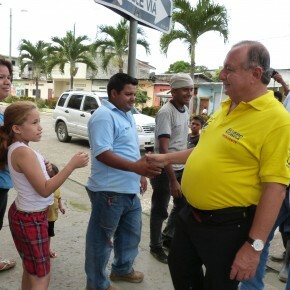 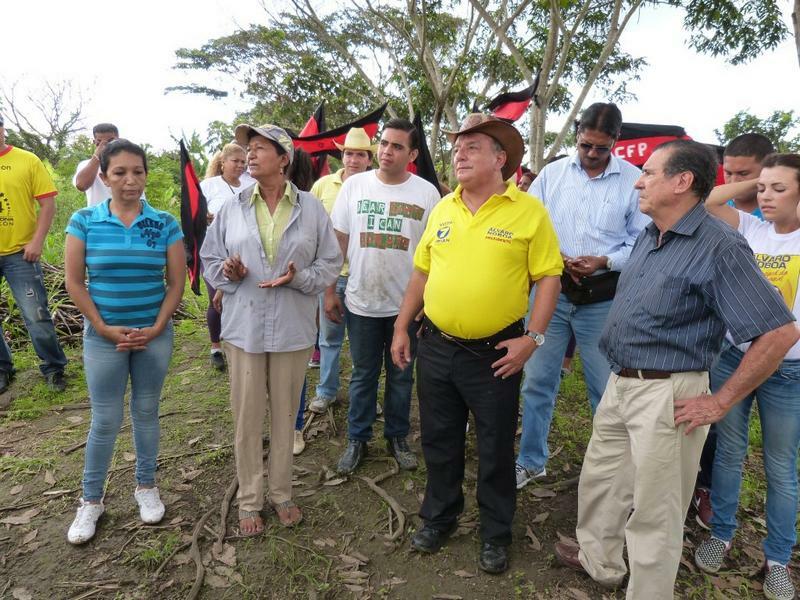 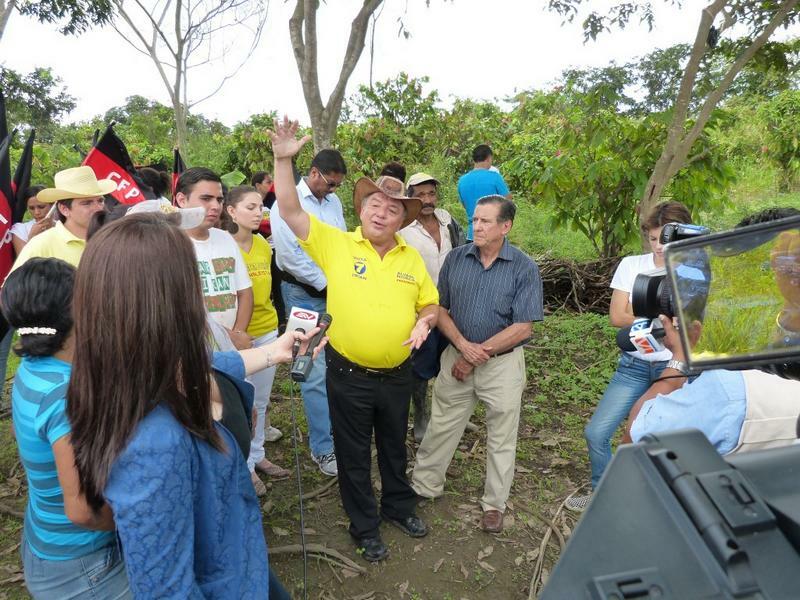 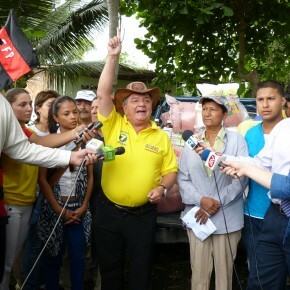 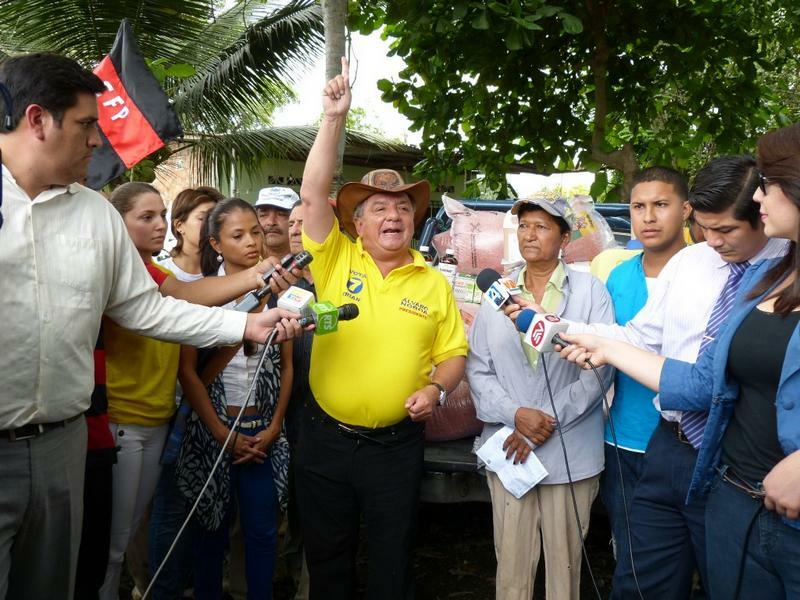 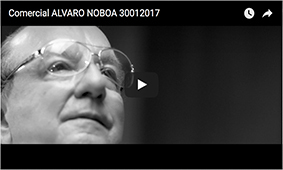 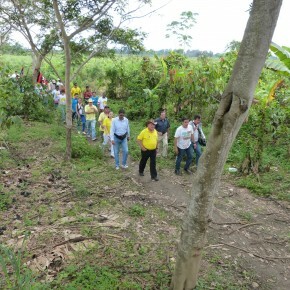 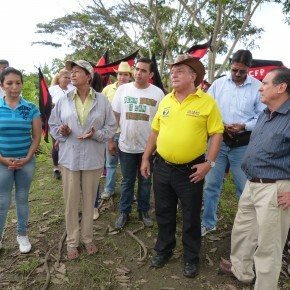 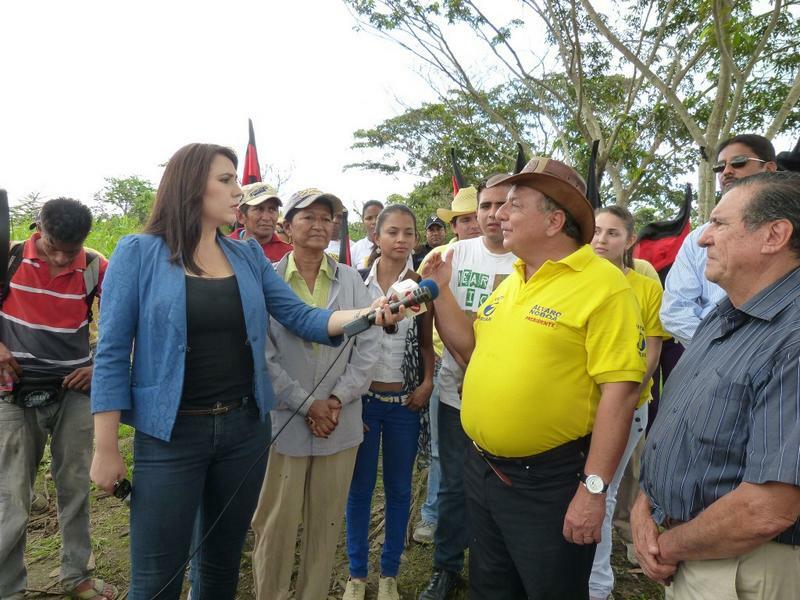 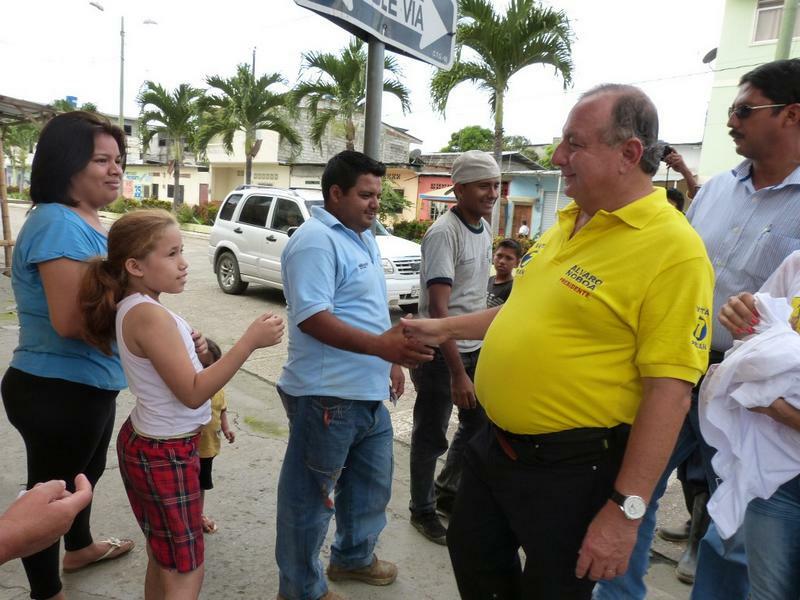 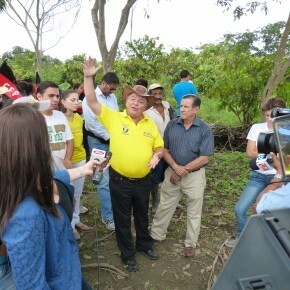 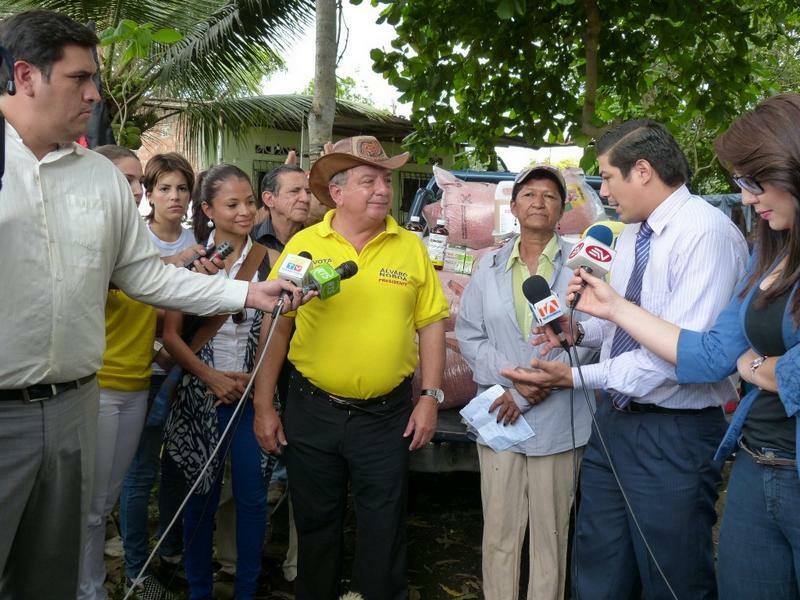 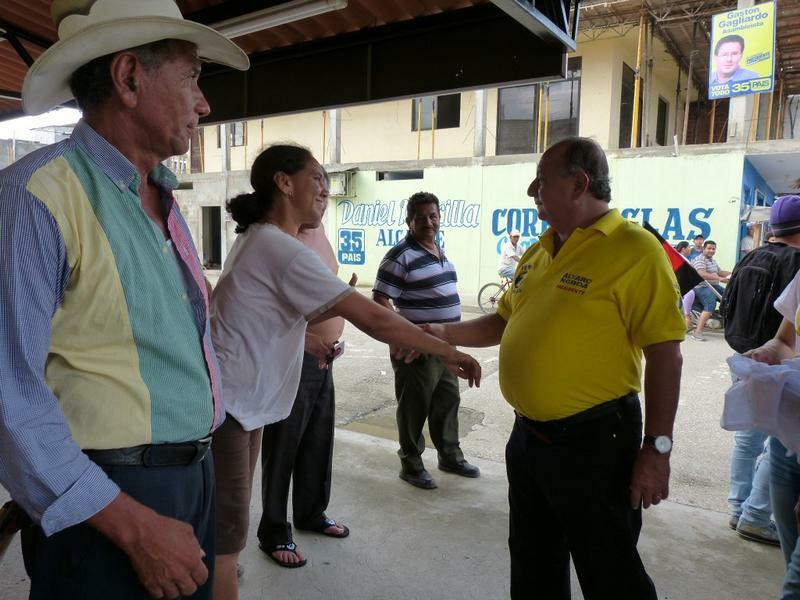 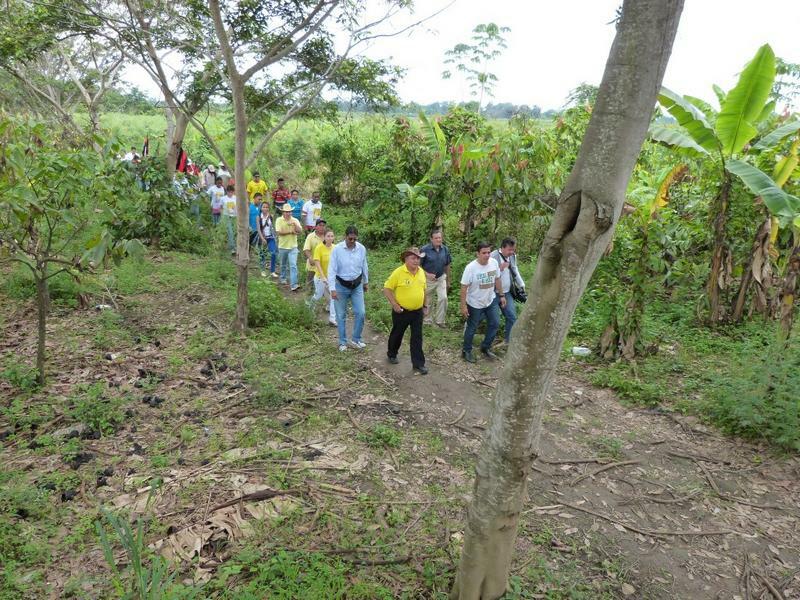 Álvaro Noboa declared: “The Correa government has failed in its agricultural policy over the last 6 years, during which farmers have lost money. 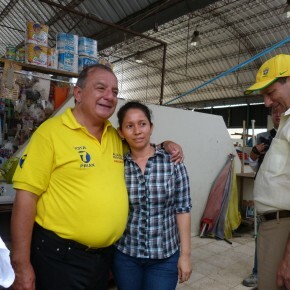 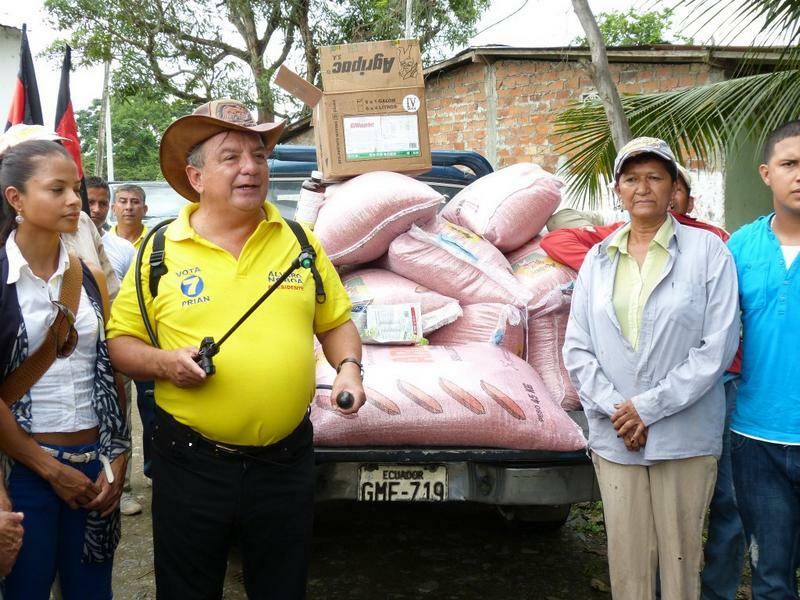 “At the time of harvest, of corn as well as rice, the Correa government has allowed the importation of those products, causing prices to fall through the floor, and causing Ecuadorian farmers to lose money. 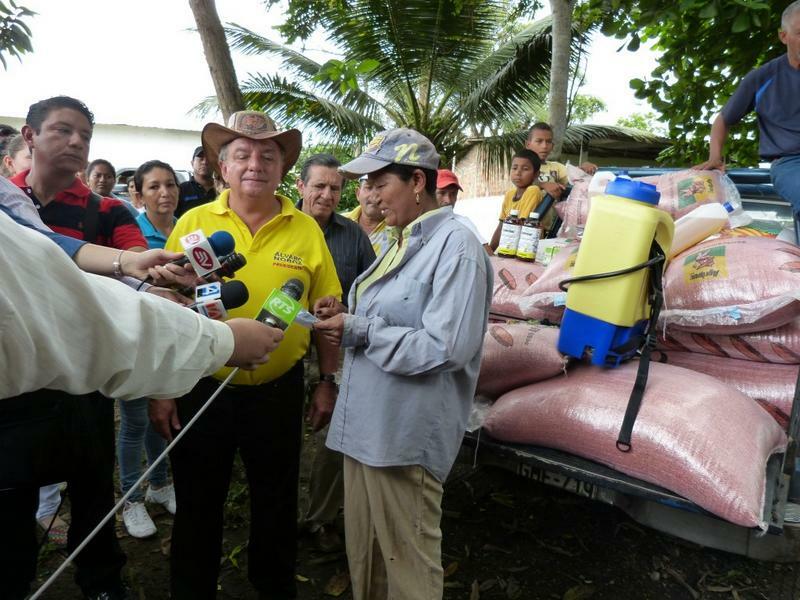 Ecuadorians, we are here in the Yaguachi region with this small farmer, Mrs. Eva Faguinson, to whom we are delivering everything she needs to seed her five hectares of land with rice. 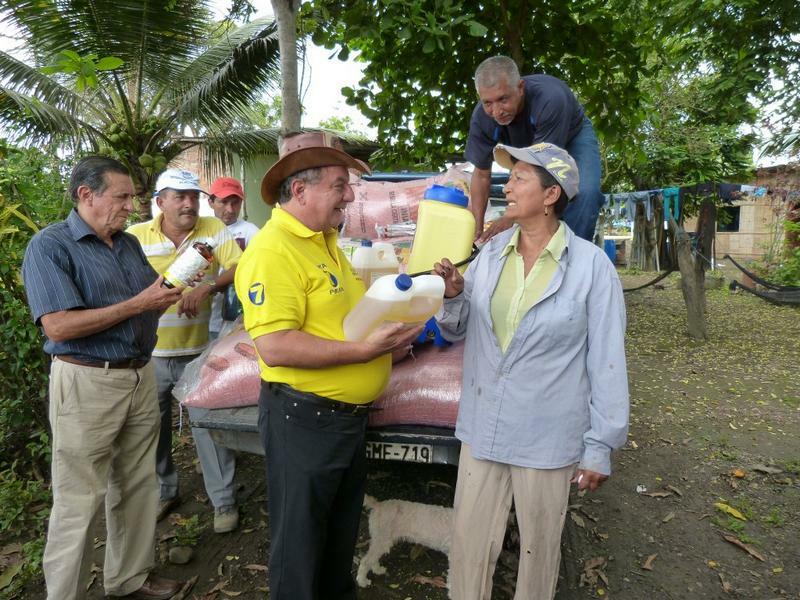 Farmers have suffered much under this government. 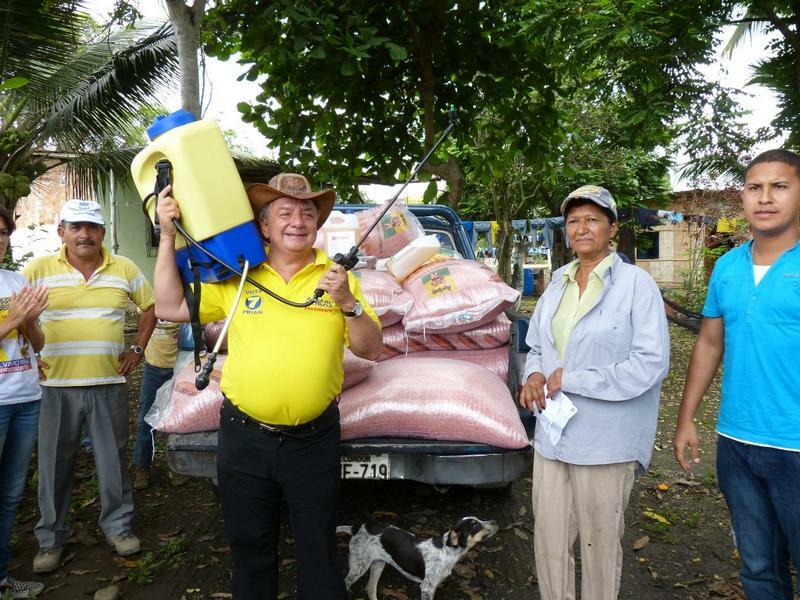 In my government, I would do everything differently. 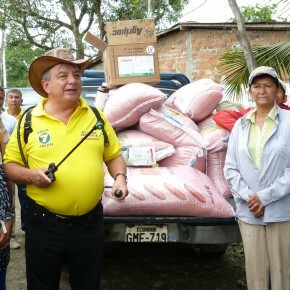 I would commercialize rice better, as well as all the agricultural products, and I would lower taxes on agricultural supplies so that costs are lowered and you will save money.